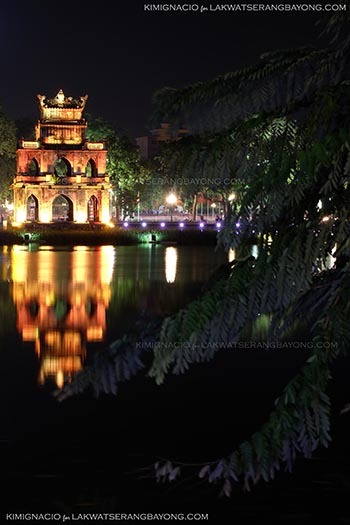 We made Hoan Kiem District our base in Hanoi and as soon as we step out of our hotel, we are quickly enveloped with the frenetic energy that is the Old Quarter. 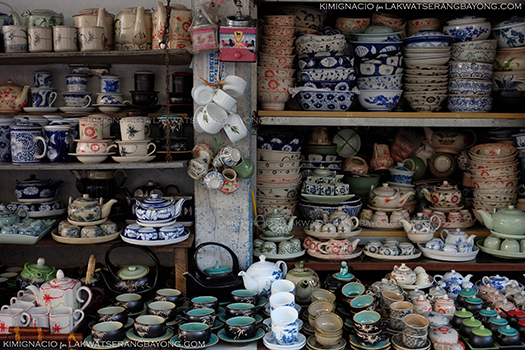 It’s so easy to get lost within the 36 maze-like 13th-century streets and to blow your Vietnamese Dong on the abundance of trinkets displayed in spades fighting for your attention. 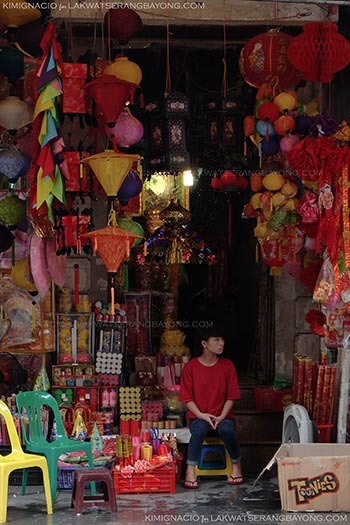 Everything is all out there, piled high and wide, to be smelled, tested and bought. 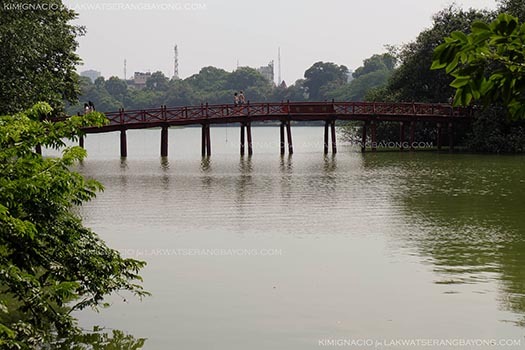 Hoan Kiem Lake on the other hand is peaceful and quiet. 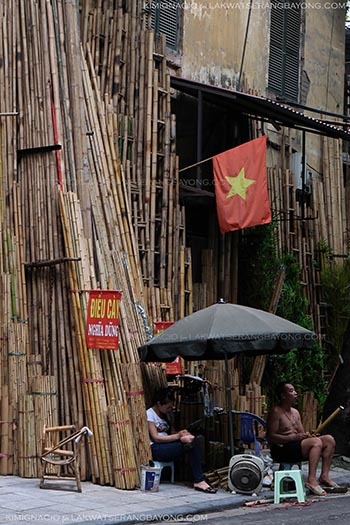 It is in the heart of Hanoi, and a useful reference point to get your bearing. The lake surrounds Ngoc Son Temple. 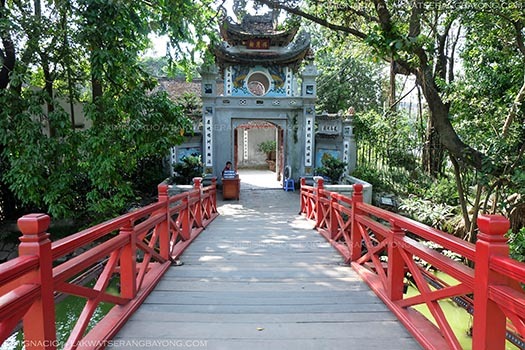 The pagoda sits in the center of the island and can be reached by crossing the wooden red bridge of The Huc (Morning Sunlight bridge). The tree shaded benches scattered around the lake is a good place to get a breather and watch the rest of the city go by while cooling down with some heart jolting ca phe sua da or Vietnamese iced coffee. Vietnam is second only to Brazil in coffee production and the coffee culture is so big here. They have coffee anywhere and everywhere in anytime of the day and in so many variations. Stephen, our Canadian friend we met on a Halong bay cruise told us about ca phe trung, or egg coffee and we set out to find it. We were desperately lost because of our fabulous sense of direction and was about to turn back when I look up from my map and saw the café sign just across the street. Hallelujah! 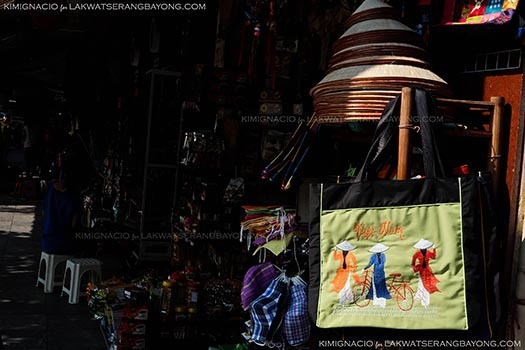 Giang Café is an ancient hole in the wall hidden on an alley on Nguyen Huu Huan Street in the city’s old quarter. It was a bit difficult to find, but their delicious sorcery served since 1946 is well worth the effort. 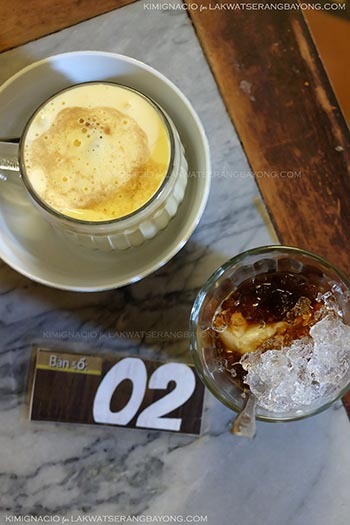 We tried the hugely popular frothy egg coffee and the iced with yogurt and loved both. It is delicious! I still don't know what's behind these Liliputian seats but it's fun to plop down on one of those seats spilled over the sidewalk sipping some delicious potent dark brew while motorbikes zip around sometimes just inches away from our faces. This spot we're parked at here is just across St. Joseph's Cathedral. 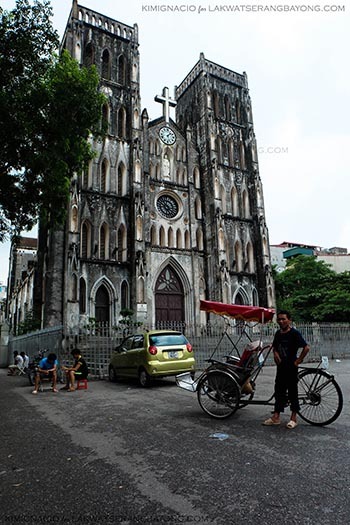 The in-dire-need-of-a-white-wash cathedral is one of the city's landmark, the oldest church in Hanoi and resembles Notre Dame de Paris. 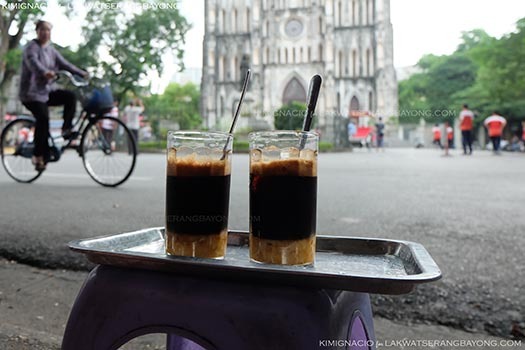 A must do when in Hanoi - the street side coffee drinking, people watching and St. Joseph's cathedral. 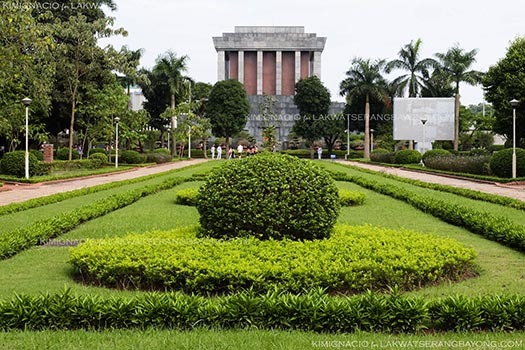 Quảng Trường Ba Đình or Ba Dinh Square is a historical site in the centre of Ba Dinh district. 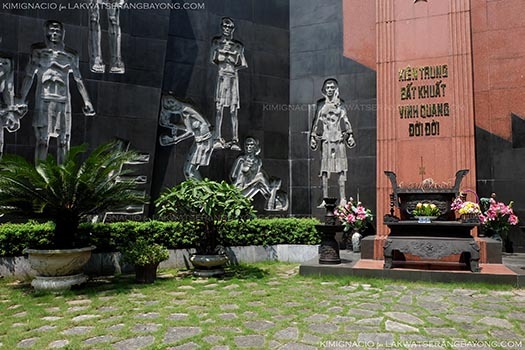 It is where Ho Chi Minh read the Declaration of Independence establishing the Democratic Republic of Vietnam in 1945. 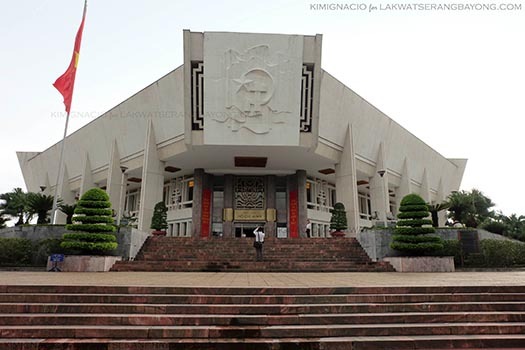 It is also where the the Presidential Palace is and Ho’s final resting place. 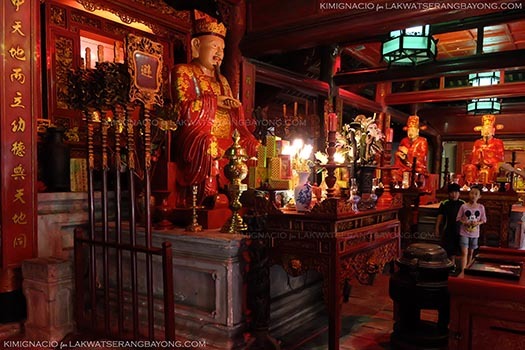 Ho’s embalmed and preserved body is displayed in a glass case inside the marble edifice of Ho Chi Minh mausoleum (Vietnamese: Lăng Chủ tịch Hồ Chi Minh) from January to September. Unfortunately for us, the most iconic leader of Vietnam was in Russia for his yearly touch ups and maintenance during our visit. We actually missed him by only a few days! Dress modestly on your visit, tank top and shorts are not allowed inside, and so is photography. Opening Hours: Tuesday to Thursday and weekends from 08:00 – 11:00. Closed on Monday and Friday. Entrance fee: 10,000 VND. 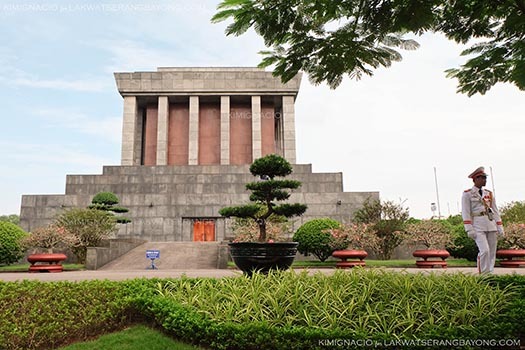 You can combine a visit to Ho Chi Minh’s Museum with the mausoleum. The monument is dedicated to the life of Uncle Ho. Opening hours: 8-11.30am daily; 2-4.30pm Tue-Thu, Sat and Sun. An English-speaking guide costs around 100,000 VND. 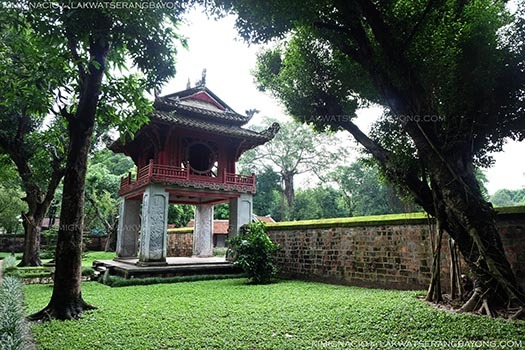 The Temple of Literature is a short stroll from Ba Dinh square. 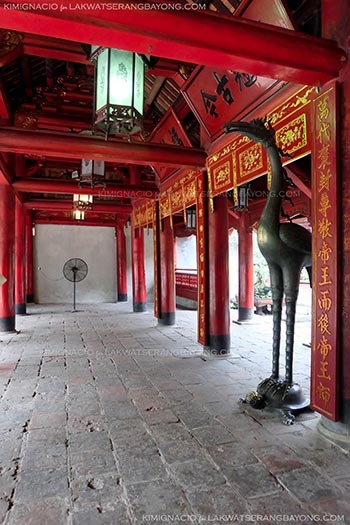 It is Vietnam’s first university and was dedicated to Confucius. 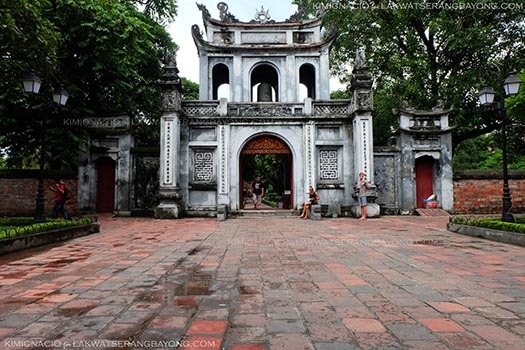 The well preserved series of walled courtyards and gateways best demonstrates traditional Vietnamese architecture. and 07:30 – 18:00 for the rest of the year. Closed on a Monday. 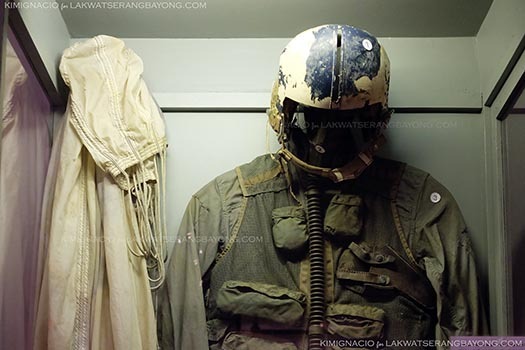 Hoa Lo Prison is a historical landmark also sarcastically known to American prisoners of war as the "Hanoi Hilton." 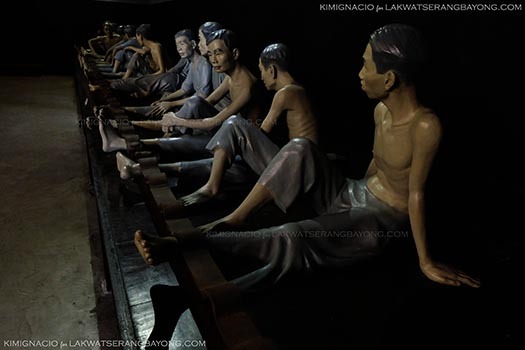 The actual prison has been demolished in 1990’s but the gatehouse remains as a museum and displays show the prison during the French colonial period. WARNING: not for the faint of heart. The guillotine room is also on display including the original equipment. Part 2 of a series.